Jamaica Military Tattoo 2012 tickets are now on sale! Its official, Jamaica Military Tattoo 2012 tickets are now on sale. Ticket prices range from $500 (JMD) to $2000 (JMD), with the most expensive being directly in front of the performance area (JDF Polo field Up Park Camp Kingston) for your viewing pleasure. The Jamaica Military Tattoo is one of the central activities in the Jamaica 50 celebration and the first Military Tattoo in Jamaica in 29 years. 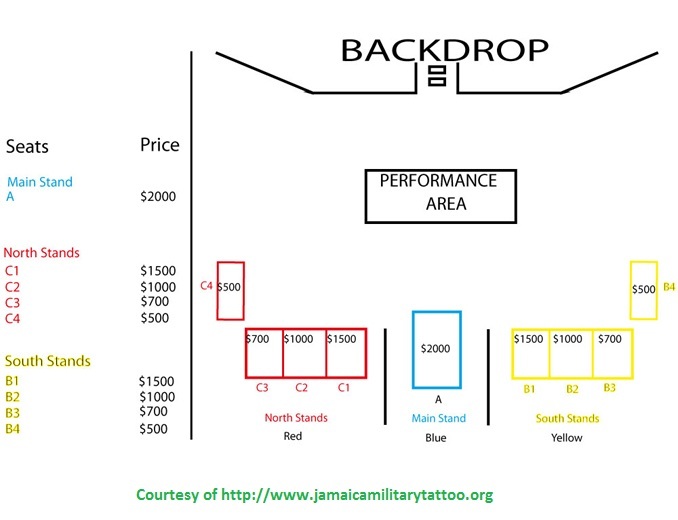 Visit www.jamaicamilitarytattoo.org for additional details. I think The military tatoo couple more days because most country people did not get a chance to see the show, ticket sold out. I am really sad because I won’t be able to see….